One of the largest neighborhoods of single-family homes within Fiddler's Creek, Chiasso is also one of the most desired. Occupying the northwestern corner of the picturesque Veneta residential zone, the Chiasso community enjoys a greater degree of quiet than other neighborhoods. Chiasso at Fiddler’s Creek comprises a total of 59 Chiasso family homes. Each home enjoys stunning views of the placid lake behind while the lightly wooded land to the west and north provide a greater level of privacy to Chiasso community residents. Built to the highest standards, each home is designed in a classical Mediterranean style but boasts distinctive features like a brick-paved driveway, large modern kitchens and superbly designed spacious bathrooms. 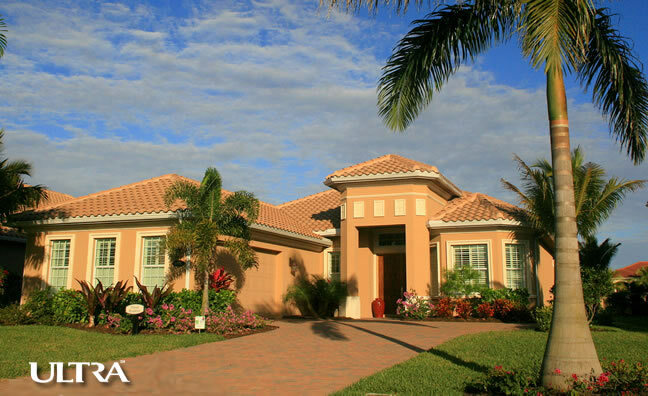 Chiasso family homes also come with energy-efficient AC and heating systems, and a spacious lanai leading onto a backyard that is large enough to accommodate a swimming pool and spa, if desired. Hawthorne homes are 1 story, covering a total of 3,452 sq ft with 3 bedrooms, 3 bathrooms and a 3-car garage included in the floor plan. Swimming pool, spa and extended lanai optional. Washington homes are 1 story, covering a total of 3,701 sq ft with 3 bedrooms, 4 bathrooms (1 half) and a 2-car garage included in the floor plan. Swimming pool, spa and 3-car garage optional. Madison homes are 1 story, covering a total of 4,294 sq ft with 3 bedrooms, 4 bathrooms and a 2-car garage included in the floor plan. Swimming pool and spa optional. Somerset homes are 2-story, covering a total of 4,297 sq ft with 4 bedrooms, 5 bathrooms (1 half) and 2-car garage included in the floor plan. Swimming pool, spa and 3-car garage optional. Emerson is the largest Chiasso family home, covering a total of 4,666 sq ft with 3 bedrooms, 4 bathrooms (1 half) and a 2-car garage included in the floor plan. Swimming pool, spa and 3-car garage optional. For more details on Chiasso at Fiddler’s Creek and the homes available there, just scroll down. The CDD - What is it?